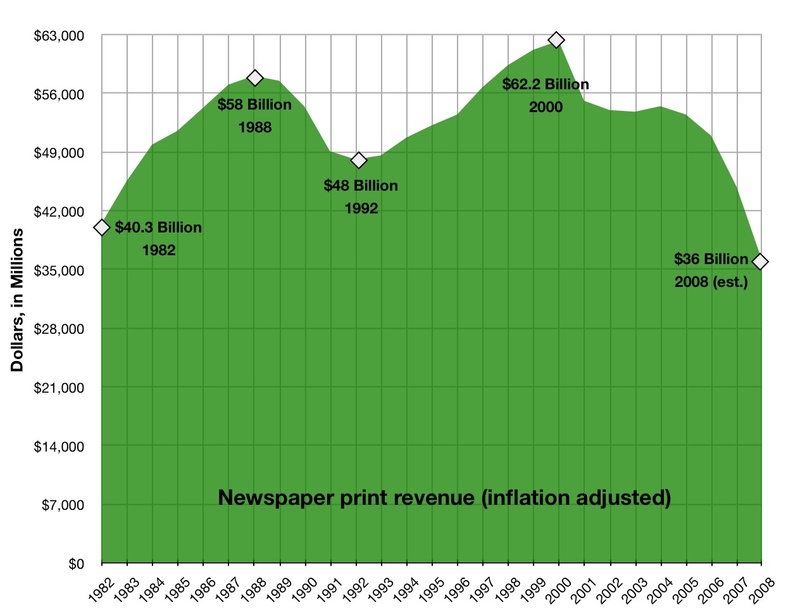 According to The Newsosaur, Alan Mutter, the first-half 2008 newspaper revenue details, released by the Newspaper Association of America, represent the worst numbers in a dozen years. What’s really bracing about that chart is how the rate of decline clearly accelerates in the past few years. This chart does not include online revenue, which NAA has tracked since 2003.